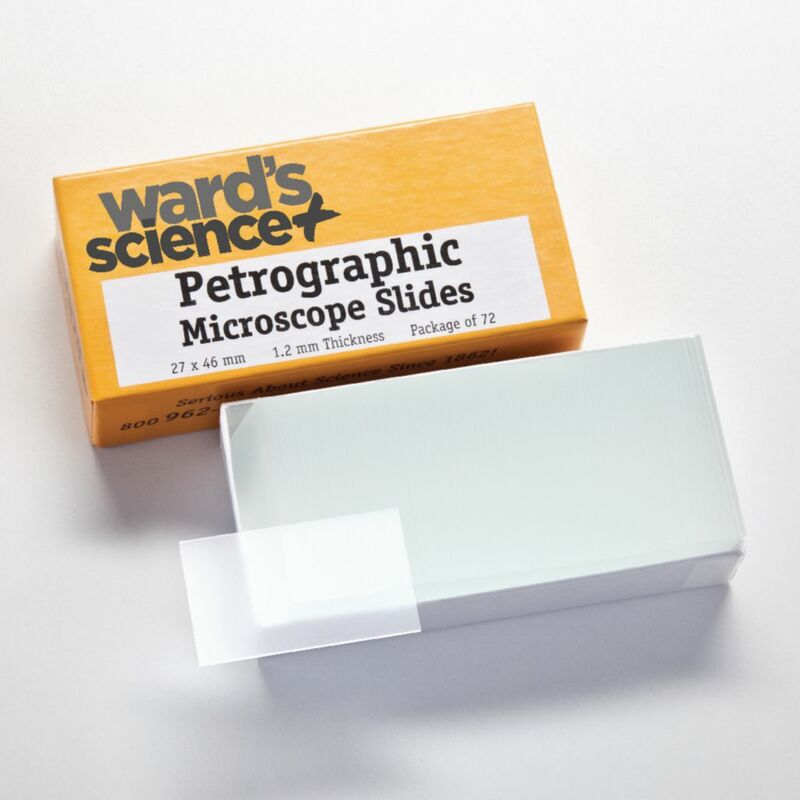 These slides are pre-etched to increase rock adhesion to the slide. Measures 1" x 2"; 27 x 46 mm. Edges are beveled, ground, and polished. Thickness: 1.2 mm.